If you have watched every performances and elimination rounds, then you might have noticed that only one of the remaining Top 6 finalists of The American Idol Season 11 has the opportunity not to belong in the bottom three. All of the other contestants have gone through the shameful experience of belonging to the bottom three. All except Phillip Phillips. At 21 years old, Phillip has been swooning the ladies around the world, which is most definitely every guy's dream. He started out as a simple worker at his father's pawnshop and eventually, through the course of the competition, evolved to a big hit rock star. Together with Jessica Sanchez, he is a favorite of Lee DeWyze, the winner of the ninth season of American Idol. California Dreamin' (solo) - Have You Ever Seen the Rain? I am not really fond of rock songs, but If I were to choose a rock song performer among the American Idol contestants I would certainly pick him. 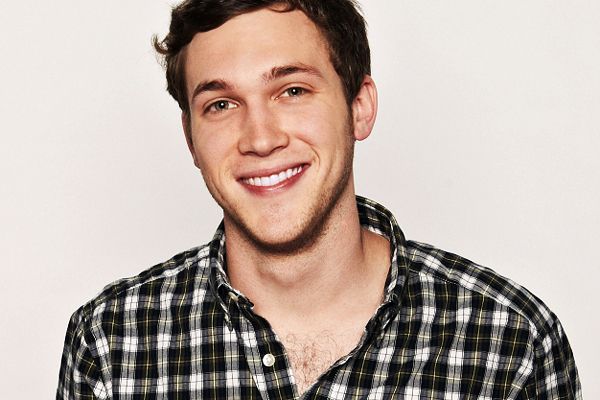 Phillip Phillips' American Idol performances have proven that he is versatile. Although I am not sure if he has just been playing safe that is why he haven't been to the bottom three yet, but that feat is already commendable at this stage of the competition.